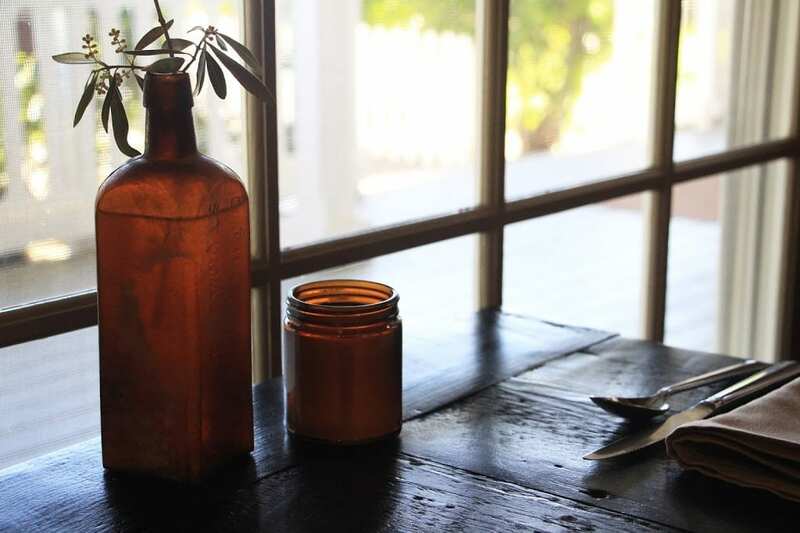 Nestled among the bucolic vineyards and horse ranches of the Santa Ynez Valley, Ballard is a tiny outpost with a little red schoolhouse, a couple of churches, and an outstanding inn and restaurant. Founded in 1880 as the first stagecoach stop between Santa Barbara and San Luis Obispo, Ballard is Santa Ynez Valley’s oldest town. It’s also the smallest. Unlike the tourist-clogged streets of nearby Solvang and Los Olivos, Ballard has remained a sleepy village with a little more than 400 residents. 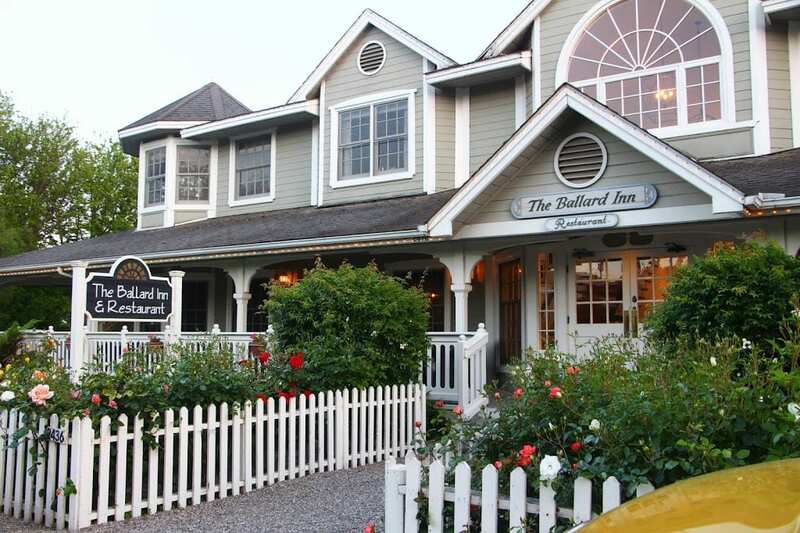 Ballard’s only business sits alongside a country road at the center of town: the newly-redesigned Ballard Inn and its revamped restaurant, The Gathering Table. Upon walking into the lobby, my husband and I were immediately smitten. The ground floor renovation combines rustic, Early American antiques with a spare, modern farmhouse aesthetic. The lobby is painted a stark white with black trim. A grand, spindled staircase rises to the left of the front door and is softened by a natural fiber runner. A black-framed collection of antique keyhole plates lines the wall along the stairs. A large, wood-burning fireplace stands to the right, with just an earthenware vase and a couple of rustic candlestick holders resting on its mantle. 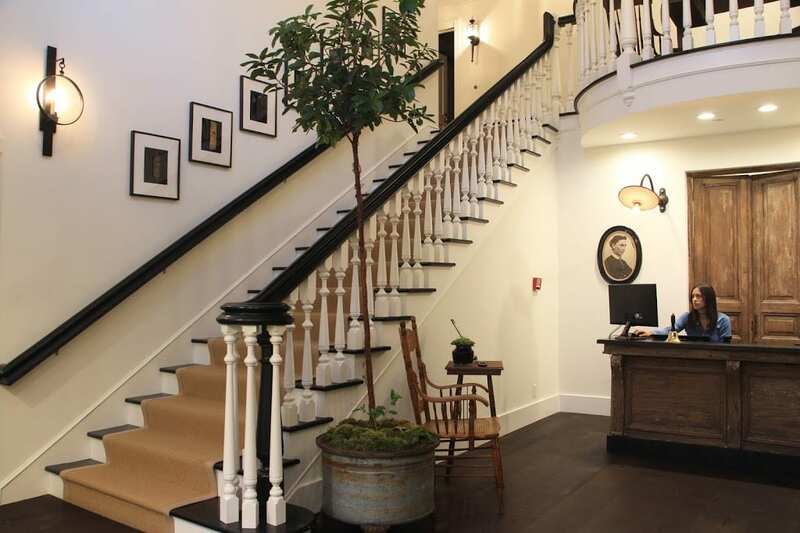 Two oval framed, sepia-toned photographs of Ballard’s earliest pioneers–Cynthia Ballard and George Lewis–hang on the back wall on either side of a pair of rustic doors and a front desk built of reclaimed wood. 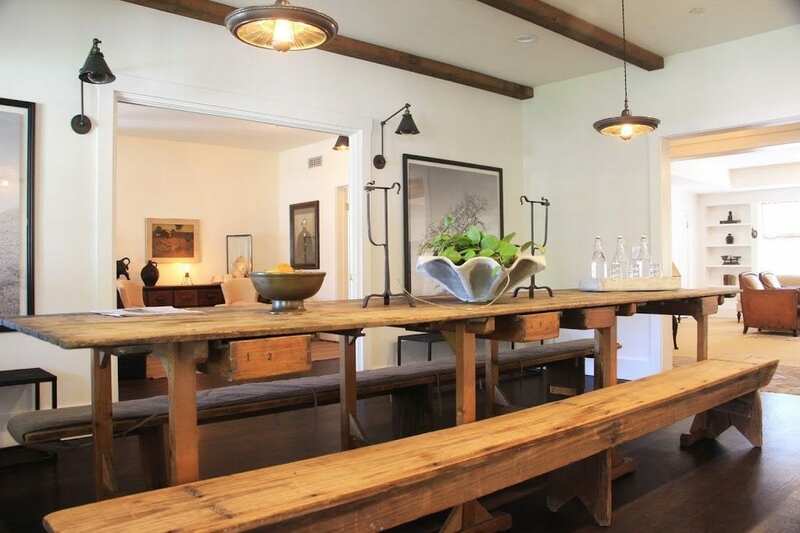 The modern farmhouse light fixtures feature exposed filament bulbs. A handful of plants add bursts of natural greenery to an otherwise neutral color palette. The effect exudes a modern, sophisticated elegance with a nod to the town’s Western frontier roots. The design elements are carried throughout the ground-floor renovations. Wide-planked wood floors grace most of the common areas. 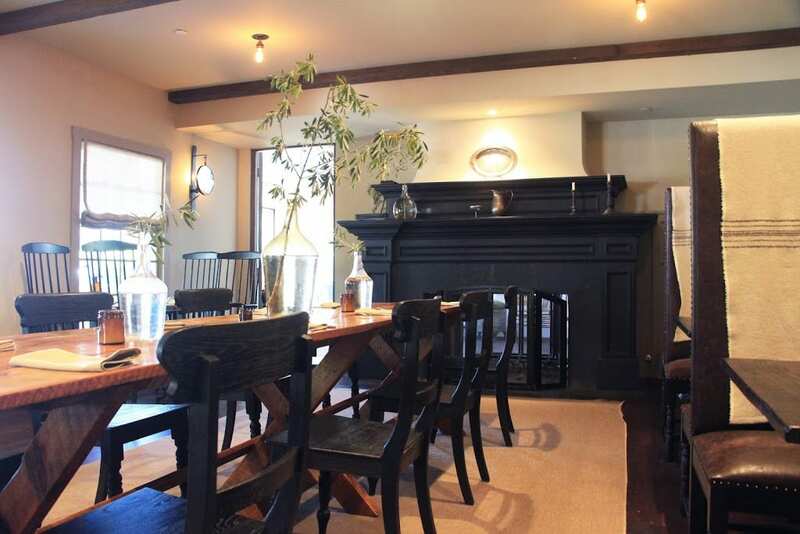 The dining area, where wines and hors d’oeuvres are served each afternoon, is anchored by a long, rustic, antique farmhouse table with matching benches. Two enormous black-and-white photographs of oak trees hang on the wall. 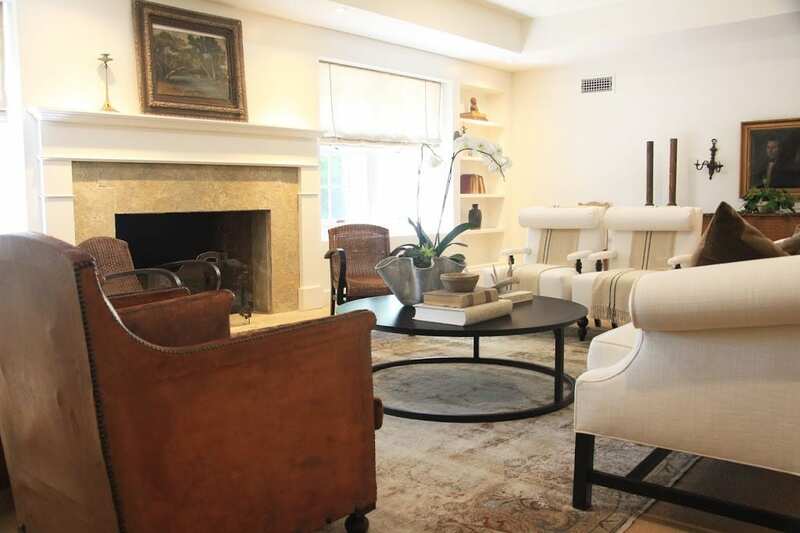 The living room is a blend of antiques and modern furnishings surrounding a fireplace. Brass tack leather chairs are complemented by white linen-upholstered seating draped with cozy linen/silk blankets in neutral colors. The same blankets are draped over the backs of the leather booths in the restaurant, which features a long, communal farmhouse table in the center flanked by more intimate rustic wooden tables on either side. 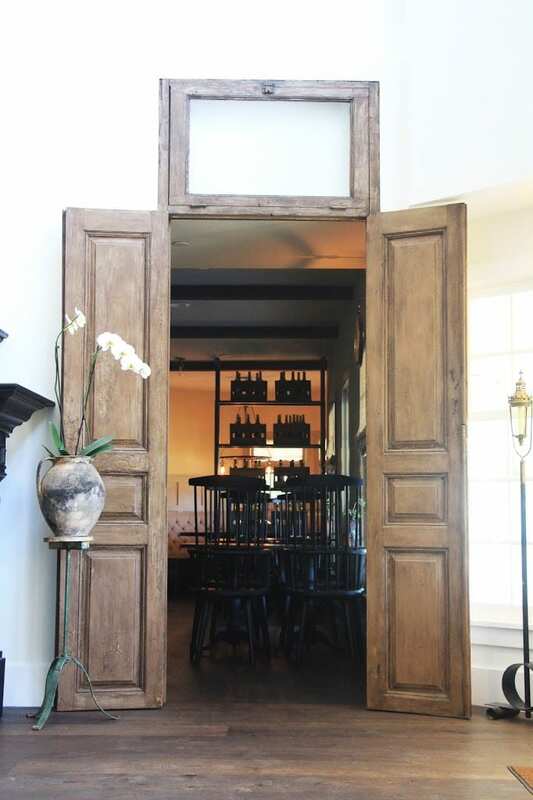 Both the design and the dining style is a departure from what it had been since Chef Budi Kazali and his wife Chris purchased the inn and restaurant in 2004. The award-winning chef is best known for his French-Asian cuisine. Budi was born in Indonesia, but grew up in Santa Barbara, where his family still owns hotels. After earning a degree in economics, he followed his passion for cooking to the California Culinary Academy in San Francisco, where he learned the foundations of French culinary techniques. He went on to refine his skills at high-profile restaurants in San Francisco and Boston–including Crampton Place and Blue Ginger–before returning to Santa Barbara County to purchase the Ballard Inn and Restaurant with his wife when his oldest son was still an infant. Budi’s new restaurant concept builds upon his skillful blending of Asian flavors with classic French-style dishes. The menu features a variety of new and inventive shared plates and signature dishes highlighting local, seasonal produce and seafood. In addition to the warm, inviting atmosphere and fine cuisine, the restaurant offers an excellent wine list showcasing a number of regional wines and impeccable service. Tucked into one of the cozy leather booths inside the packed restaurant, my husband and I worked our way through half a dozen shared plates. One of the stand-outs was the hamachi. 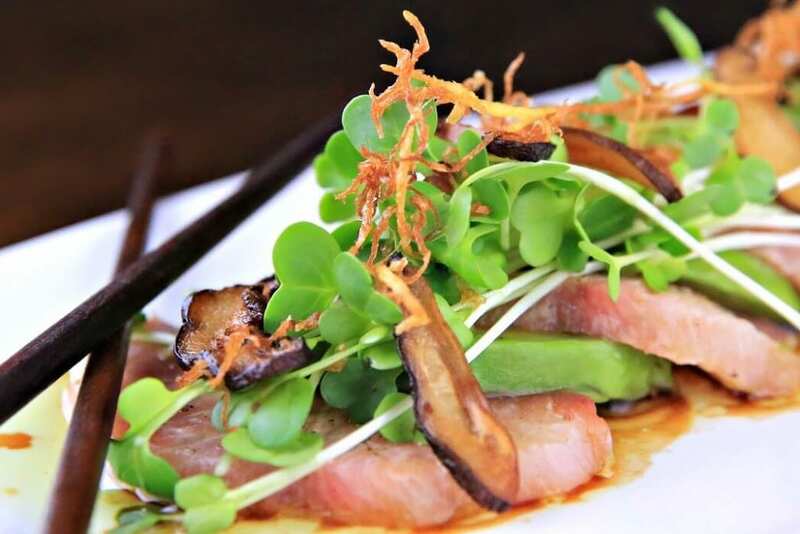 The melt-in-your-mouth fresh fish was layered between slices of avocado, drizzled with a soy-yuzu vinaigrette, and topped with delicate watercress, crispy shallots, and porcini mushrooms. We also savored the candied bacon in the grilled Little Gem greens salad, a wild mushroom risotto in a porcini broth, and a spicy hangar steak with charred Brussel sprouts. Full from dinner, we tried to pass on dessert, but the menu proved too tempting. We opted to share one of the smaller items: a chocolate whoopee pie filled with banana cream. It was a thousand times more delicious and surprisingly lighter than any childhood whoopee pie concoction we remembered. After dinner, we returned to our room to find warm cookies on the bedside table. The cookies are part of a complimentary turn-down service in which the innkeepers freshen up the rooms, draw the linen shades, and turn down the bed. Our room, the Vintners Room, was recently redesigned to echo the ground-floor renovations. 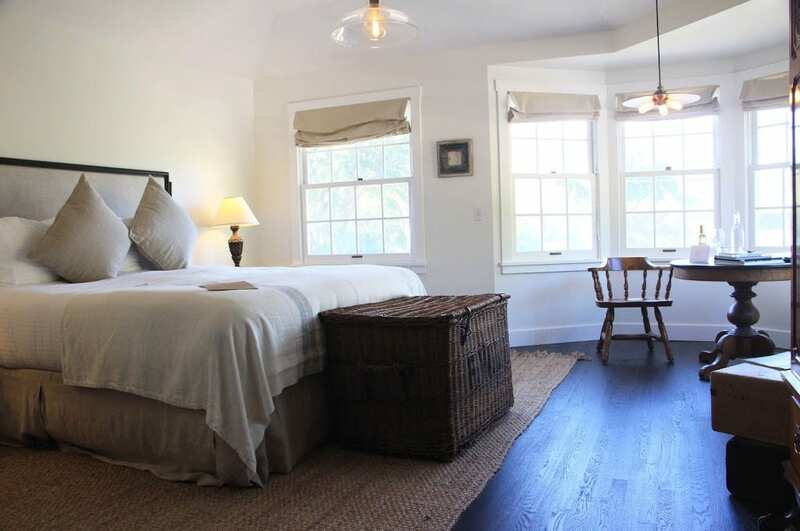 Spare but comfortable in its simple farmhouse furnishings, the room featured dark-stained wood floors and a woven rug, a round wooden table and two chairs basking in the sunny glow of the wrap-around bay windows, and vintage suitcases stacked beside an antique mirrored armoire. In the back corner, an antique vanity was plumbed to resemble an old fashioned wash basin. The bedding featured natural linen accents and a soft linen/silk blanket folded at the foot of the bed. All of the inn’s 15 rooms will be upgraded over time. After a restful night’s sleep, we returned to the restaurant downstairs for breakfast, which includes a choice of a cooked-to-order breakfast and a buffet assortment of fresh pastries, fresh fruit, yogurt, granola, cereals, juices, tea, and coffee. We spent the rest of the morning relaxing on inn’s broad front porch as we plotted our day’s wine tasting adventure in the Santa Ynez Valley. But we could have easily spent the rest of the day on the porch, overlooking profusion of garden blooms and watching cyclists and the occasional car roll by. Sixth photo by Tenley Fohl Photography courtesy of The Gathering Table. All others by Ranee Ruble-Dotts for CABBI.